EMDH is situated approximately 2 miles to the North of Leicester City centre in the suburbs just a few yards off the ring road. Easy to find and only a few minutes from Junctions 21a or 22 of the M1. Leicester’s central location is of course convenient from so many other places in the country too, just over an hour from London, along the A14 or A47 from East Anglia and just a short hop along the motorway to such places as Leeds, Sheffield and the west Midlands. 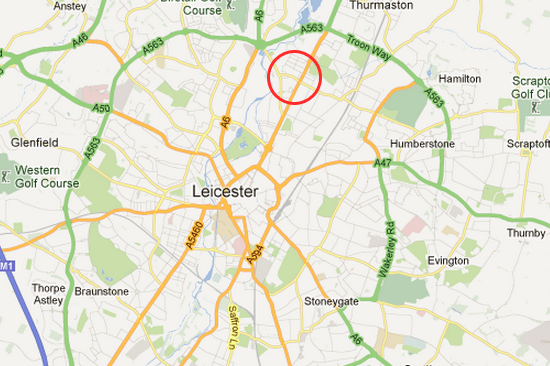 By train Leicester is a mainline station and both East Midlands and Birmingham airports are less than 1 hour away. Whilst not a famous tourist location Leicester and its immediate area do have some interesting features and if you wish to make a longer stay local info and recommendations can be provided. Such places as Great central Steam railway, the National Space Centre and Richard III exhibition and Bosworth Battle field are close by and for eating out all tastes are catered for, from 5* to the wide variety of ethnic restaurants.